A mum. A former secondary school teacher with a love and passion for all things education. After becoming a Mum to my beautiful sons Jaxson and Mackie, my perspective on life changed completely and fuelled my career change. Whilst teaching has always been my passion, having the boys made me realise that to be the outstanding teacher I had always strived to be, could mean not being the mum I’d always imagined I’d be. Whilst having these doubts about returning to teaching, Gonzagarredi’s catalogue came into my life. I instantly loved the products and started ear marking the pages with things I could get my son for his birthday. I fell in love with it more after visiting the Head Office in Italy and seeing the quality and love that goes in to each product. My passion for all things education was reflected in the staff at Gonzagarredi. Every product is made with the needs and requirements of the child in mind, I instantly knew this was something I wanted to be involved in. Gonzagarredi then introduced us to Heutink International which has allowed us to broaden our product range and work with one of the very best global educational brands. Their showroom alone is a teachers dream! Montessori Education has always fascinated me and moving into this world has allowed me to continue to be part of the educational circle that I love and given me the new and exciting challenge of running a business. 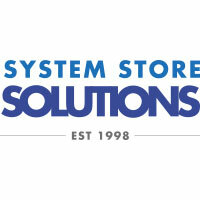 Lifelong Learning Materials is a sister company of System Store Solutions. “System Store Solutions is a workshop and warehouse design specialist, committed to the highest level of service from project through to completion. We pride ourselves on the relationships we build with our customers, developing projects together and tailoring each job to the customer’s exact needs.